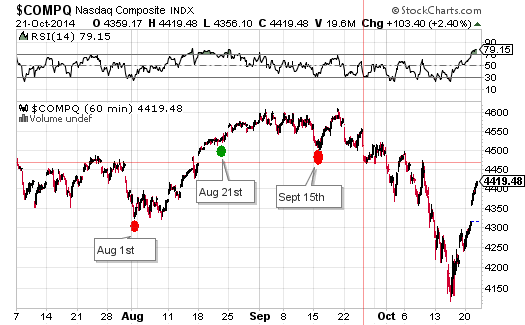 Now that the markets appear to have stabilized it’s OK to jump back in long trades…right? I believe the correct answer to be NO, based on that clear lack of leadership, declining volume on rallies, and the fact my timing signals and long term trend remain firmly down. Add on the fact that many weekly charts are starting to roll over on past leaders and it looks less and less likely that the Fed can print their way out of this one. I’m no permabear but I also don’t like how momentum stocks reacted over the last 3-4 weeks and without any new leadership where does one even think of putting their money to work on the long side? I think it’s only a matter of time before the markets resume their selling and start the next leg down.